The first wave of new performance data for individual surgeons in England is being published in what is being hailed as a historic moment for the NHS. Vascular surgeons have become the first of a new group of nine specialities to publish the information, including death rates. It appears on the NHS Choices website. The other groups will follow in the coming weeks. But the move has been overshadowed by some surgeons refusing to take part. They were able to do this because of data protection laws, although earlier this month Health Secretary Jeremy Hunt warned that those refusing to take part would be publicly named. Just six out of nearly 500 vascular surgeons, who specialise in procedures on the arteries and veins, including stents, have opted out. But NHS Choices states none of the six had results outside the normally expected range. They have been named as Richard Bird, Patrick Kent, Robert Lonsdale, Manmohan Madan, Peter McCollum and Leszek Wolowczyk. They, and their reasons for opting out - including not agreeing with publication of the data - are detailed on the website. Vascular surgeon Peter McCollum told BBC Radio 4 that he opted out because the data was "inherently flawed". "Bad surgeons will not be picked up by this process - and it puts pressure on younger surgeons not to do any difficult surgery at all." He said he would prefer data to be analysed on a unit level, rather than for individual surgeons, because this would give a better picture of outcomes. Nonetheless, the move to publish this data is being viewed as a significant milestone. To date, individual performance data has only been published for heart surgeons. But for years there has been debate about whether other areas of medicine should follow. The publication of surgery-specific data was first called for in 2001 by Prof Sir Ian Kennedy, who chaired the inquiry into the excessive number of deaths of babies undergoing heart surgery in Bristol. It is important not to view the surgeons' performance data as a league table. Surgeons all carry out a different range of procedures, even within the same specialty. They also deal with a different number of cases each year, on both high and low-risk patients. Some surgeons will have many complex patients. Also, some procedures are inherently riskier than others. What the tables do show are the number of times a procedure has been performed by a surgeon over a year, the mortality rate and - after adjusting for risk - if the outcomes fall within an acceptable range. It's acknowledged that surgeons need to perform a certain number of operations to keep their skills at a high level. But some doctors have been resistant to widening publication of data for eight surgical specialties and cardiology, as there is a fear that it may give a misleading impression. Those doctors who take on the most difficult and complex cases may appear to be performing badly, when in fact they could be the leading specialists in their field. 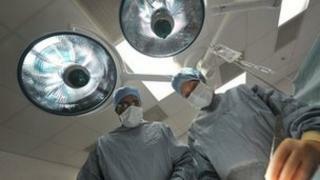 The specialities taking part account for about 4,000 surgeons, more than half the workforce. Alongside mortality rates, the data includes information on other aspects such as length of stay in hospital after a procedure. NHS medical director Sir Bruce Keogh told the BBC: "This has been done nowhere else in the world, and I think it represents a very significant step. "A number of great British institutions have lost some element of public trust recently because they're seen to clam up when things go wrong. "It's my ambition that we in the NHS do exactly the opposite and we share the way we perform and what we offer our patients with the public, who I think really deserve to see how well we're performing, because everybody owns the NHS." Prof Norman Williams, president of the Royal College of Surgeons, said: "This is an historic moment for surgery, and I'm enormously proud of what surgeons up and down the country have achieved. "It has been a difficult and complex undertaking carried out in a short timescale but we see this as the beginning of a new era for openness in medicine. "It is early days, but it will change for the better the nature of the bond between patient and surgeon, which is based on both openness and trust." The college said that overall it looked as if more than 99% of doctors had agreed to the release of the data this summer with fewer than 30 expected to resist. On BBC Radio 4's Today programme, Ian Martin, a surgeon and president of the Federation of Surgical Specialty Associations, said: "What we're seeing today is almost a celebration that British surgery has the confidence to allow the public and patients, quite rightly, to have an insight into the workings behind what they do. "But I think there are some qualifications here, and it's important to understand that this data has limitations. "We've got to be incredibly careful when we tell the public that what we tell them is qualified and they understand what that means." Cardiac surgeon Prof Ben Bridgewater added: "We've been collecting data on cardiac surgery since 1996 and we've been publishing it at individual surgeon level since 2005, and what we've seen associated with that is big improvements in quality: the mortality rates in cardiac surgery today are about a third of what they were ten years ago. "We liken it to the British Olympic cycling team, whereby you just tighten up on every little thing that you do, and every member of the team tightens up on every little thing that they do, and that leads to big improvements in quality." In a discussion on the programme, Sir Bruce said the data would force surgeons to think twice before risky operations. "With difficult cases, these results force people to think more carefully and encourages surgeons to send those more difficult cases on to other more specialised surgeons." But he denied that publishing the data would make surgeons more risk averse. He said: "Secrecy is not the way forward - transparency really is." Roger Taylor, who analysed the data for the Today programme, said he applauded the doctors who had the courage to publish their data. But he said it was important to put the information in context. "It would be interesting knowing the volume of operations done by each doctor because those who did fewer operations tend to have poorer outcomes."